The 2017 The Big Chocolate Show finds SCHARFFEN BERGER Chocolate Maker, America’s first modern-day artisan chocolate manufacturer, celebrating John Scharffenberger as a 2017 recipient of the first-ever The Legends of Chocolate Award. This award recognizes those whose work has had a significant impact on the world of chocolate as we experience it today. John Scharffenberger is the first American to make fine bean-to-bar chocolate in the U.S. and demystified the percentage of cacao by boldly putting it on the label, nomenclature adopted by the artisan chocolate industry. His efforts in the areas of chocolate making and innovation are indeed legendary and have positioned him to be a standout amongst other chocolate engineers. The inaugural class of Chocolate Legends includes Sophie and Michael Coe, Ed Seguine, John Scharffenberger and Juan Carlos Motamayor, all of whom will be feted on Saturday, October 7th in front of fellow colleagues, chocolatiers, confectioners, chefs and media. Following the ceremony and induction, The Legends of Chocolate will be displayed in the Hall of Legends, being installed this fall at the Institute of Culinary Education (ICE), in lower Manhattan. At the presentation, John Scharffenberger will be introduced by esteemed author, foodie and environmentalist, John Kaminsky, who has traveled the world with John. During the 2017 Big Chocolate Show, SCHARFFEN BERGER Chocolate Maker will be showcasing its premium line of solid take-home chocolate bars and baking chocolate. 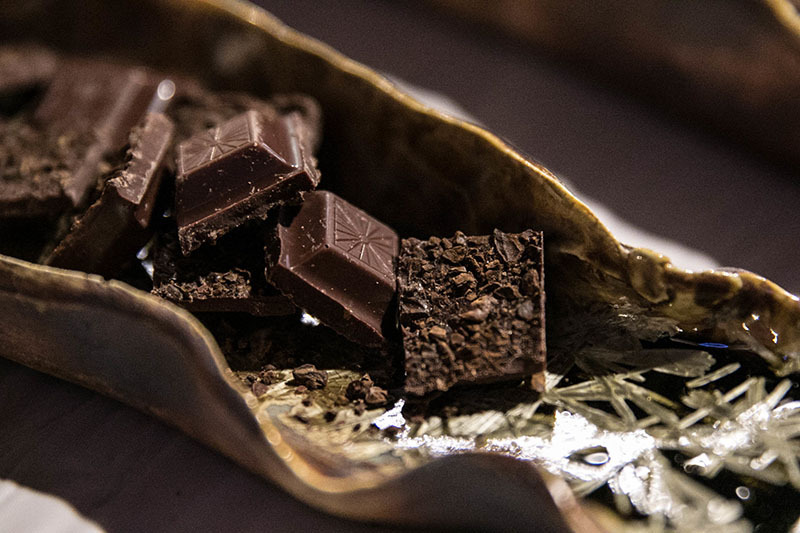 Trade show attendees will have the opportunity to discover the brand’s assortment of milk, semisweet, bitter and extra dark chocolates at the SCHARFFEN BERGER Chocolate Maker Booth #3. Founded in San Francisco in 1997 by chocolate physician and foody Robert Steinberg and winemaker and farmer John Scharffenberger, SCHARFFEN BERGER Chocolate Maker combines time-honored chocolate making traditions and proprietary artisan processes to develop a complex and flavorful chocolate experience appreciated by the discerning palates of foodies and chefs alike. SCHARFFEN BERGER Chocolate Maker chocolate is made from Rainforest Alliance Certified ® cacao beans sourced from small sustainable farms and co-ops around the world. Beans are roasted by region and blended in small batches to create a crescendo of flavor with high fruity notes and lower, broader base notes. Excellence and complexity in every bite. America’s first contemporary artisan chocolate manufacturer, SCHARFFEN BERGER Chocolate Maker set out to craft the richest, most flavorful chocolate by sourcing the best cacao in the world, blending it in small batches, and gently processing it to maintain the subtle flavors in the beans. Designed with a culinary approach that makes it perfect for pairing with fine wine, spirits and food, SCHARFFEN BERGER is a must-have pantry essential that will enhance the flavor of anything you bake with nuanced, rich chocolate notes. The SCHARFFEN BEREGER Chocolate Maker line consists of gourmet chocolate bars, baking chocolates, dark chocolates and milk chocolates; chocolate gifts including: holiday gift sets, corporate chocolate gifts, chocolate wedding favors, gift bags, boxes and baskets; and baking kits. For more information on SCHARFFEN BERGER, please visit www.scharffenberger.com.